People are excited by the prospect of flipping the Iowa House and governorship in November. I share the excitement, and note such voters are engaged in politics more than most who will show up at the polls. I’ll be convinced a blue wave is coming when I hear people other than candidates, those hired to work in politics, or activists tell me about it. Right now it seems a big blue bubble, especially when I talk to people I’ve known for years. 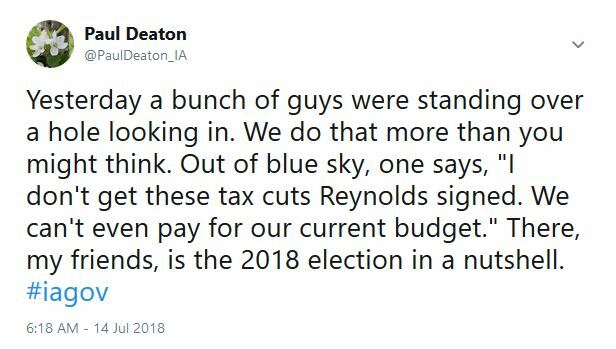 Time will tell and many of us will be working it because, as Fred Hubbell suggested, “blue waves must be created.” Democrats are not there yet. 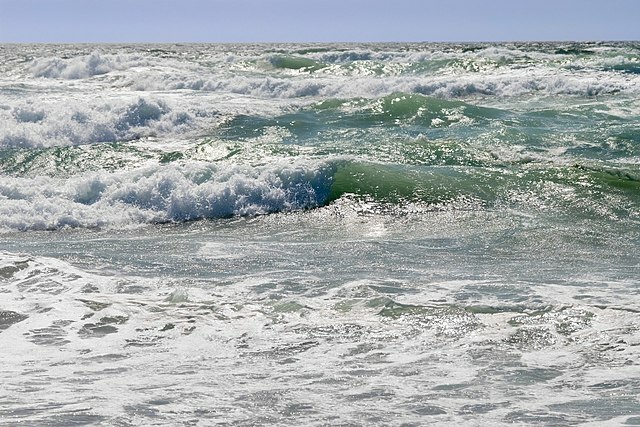 Ocean waves look pretty green to me. Are we Democrats seeing blue because of what we can’t see? Media outlets glom onto the obvious. A replacement to fill Associate Justice Anthony Kennedy’s U.S. Supreme Court seat when he retires; activities of “the resistance;” the perennial non-debate over immigration reform; active discussion about overturning Roe v. Wade; and yes, new developments about Hillary Clinton’s emails. What’s going on in the ocean of voters? Democrats are choosing more female candidates for the U.S. Congress and down ticket. Democrats, men and women, are fired up about this. Will it win over non-college educated white women who favored Trump in 2016? Probably not. Will it fire up the Democratic base? It already has. The base is far from enough to win in November. This talk has a secondary impact on voters. More influential are statements like the one made at a recent gathering of men in our neighborhood. Regardless of the ocean of pixels spilled about a Democratic blue wave, the election will reduce itself to small gatherings of voters doing work that must be done in the community. The community water main was leaking in that hole in the ground. We had gathered, not to talk politics, but to fix the leak. So it is with many non-politically active voters, men and women. The grunt work of winning elections is not fun. Knocking on doors, making phone calls, and networking with friends, family and neighbors to promote candidates, are part of activating voters. Cecile Richards was in Des Moines last week and captured the challenge of midterm elections. The campaigns for which I work plan to ask men and women to make a plan to vote. The notion of a Democratic blue wave can be a place holder for people to do nothing to influence an election outcome, even in the time of Trump. Rather than get involved in politics, people hear there’s a blue wave coming and kick back into already challenging lives, intending to ride the wave. There is no blue wave. There will only be one if we make it between now and election day.